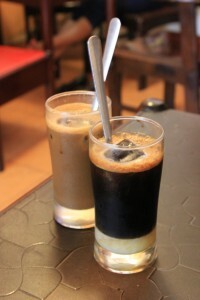 We were lucky enough to order a good cup of Saigon Style Vietnamese Iced Coffee during our first few days in Vietnam. Sasha doesn’t even like coffee and couldn’t get enough. 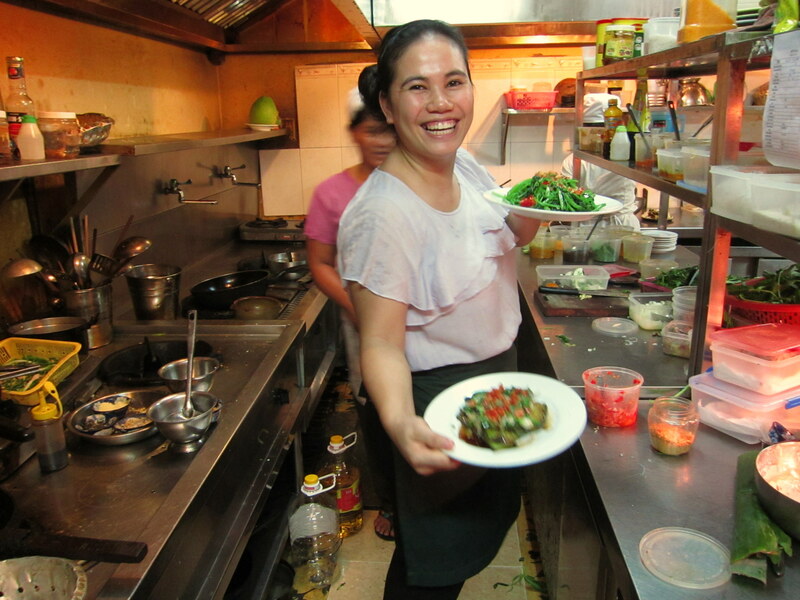 As we’ve headed further away from Saigon, it has become harder and harder to find a good one. "It's so special. 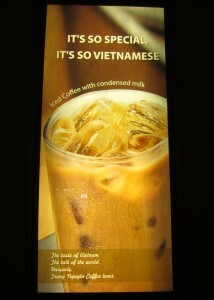 It's so Vietnamese." Put the milk in first to create layers. Then add ice and finally the coffee. Serve in a tall glass with a spoon. Before drinking, stir. It’s the sweetened condensed milk that we think makes the magic happen. One pre-stir, one stirred. Photographed ice cubes are not the correct consistency..